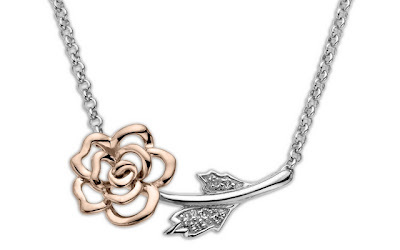 This XPY 17" Sterling Silver and 14k Pink Gold Rose with Diamond Accent Necklace is currently selling for just $79.00! You will be saving 74% off the listed price of $299.99 with this jewelry deal. What I like about this necklace is its unique design. There is just a hint of sparkle from the diamonds so it can be worn everyday. I also love that it is both sterling silver and pink gold for anyone who likes to wear both silver and gold.